I am back in Reno now. Finally. 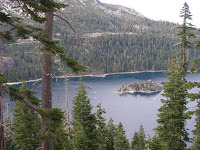 My friend Woodrat and I have made a couple day trips up into the Sierras, and really have nothing of interest to report. We explored our usual areas, and ventured out to some lesser explored spots. We were able to stay until 10 PM on our last trip. We heard some distant knocks, and whistles, but took them with a grain of salt. With the popularity of the television show, Finding Bigfoot, it is hard to rule out humans making the sounds I've heard. 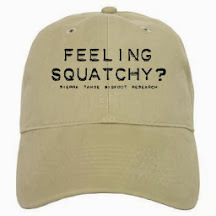 Unless it is close and definitive, and by "definitive", I mean that if you've ever heard a squatch up close, it's hard to conclude that any other person or animal could have produced some of the sounds I've heard, and felt. Yes, I said, "felt." On several occasions, I've heard some low murmurs and growls, that I could feel vibrating in my lungs. I liken it to being at a red light, next to one of those idiots with the window shaking sub-woofers, blasting in their car, and you can actually feel it. It is a very unsettling to feel your lungs vibrate in your chest. I want to reiterate that it did not happen on this trip, but it has in the past. (Read about Infrasound on Cliff Barackman's site) We actually got so bored that we even broke my rule of no whooping or yelling to try and get a response. That also produced no results. I figured, in the least, if other humans were around, we'd hear a response, but we got nothing. Aspen and willows coming back in an area that burned in a massive forest fire 20 years ago. The springs, that usually hold water year round, were dry. These springs are what we attribute to all the activity we've witnessed, as we believe the bigfoot use this chain of springs, as a travel corridor for the area. With them empty, we had no action. One good sign was that there was still a good amount of deer in the area. 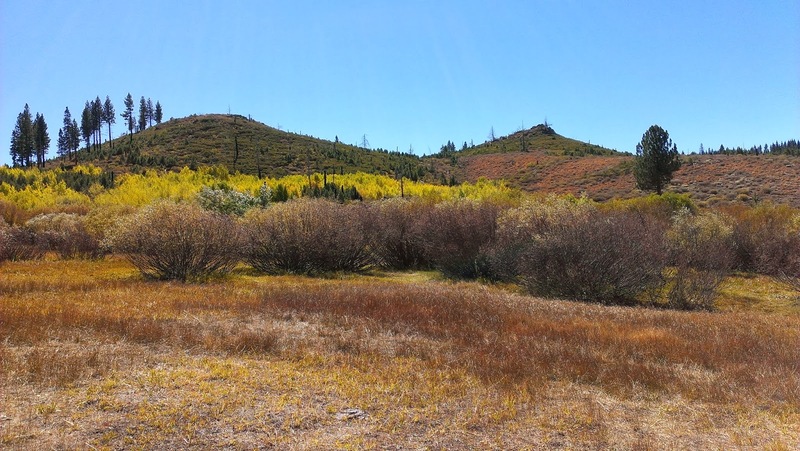 The undergrowth was dry, and it seemed like there was more Bark Beetle damage this year also. The drought conditions being experienced in the region, really seem to be taking it's toll. With little food, in the mountains, the bears are really on the move. Both times we were up there, we had bear encounters. One came out of the bushes, near a stream, and charged Woodrat. He had just enough time to draw his pistol, and fire off a warning shot, that luckily scared the large bull bear off, from just 30 feet away. It's gotten so bad, that the drought conditions are bringing more bears than usual down into Reno, with 3 captured this past week alone by the Nevada Division of Wildlife. One of the areas still holding water, away from our area of concentration. The cold weather has moved into the area now. The ski resorts like Heavenly, Mount Rose and Squaw Valley are glad the season came early. 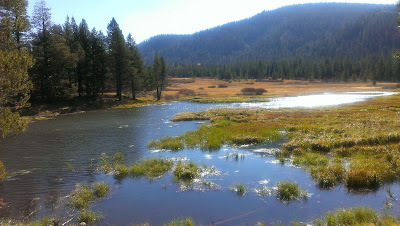 It is more than likely that we will not be squatching on this side of the Sierras, until April. We hope to get out to the west side though for a winter trip or two. A couple interesting videos were released recently, of possible sasquatch caught on video. This first one was posted by a rather well known bow hunter, Tim Wells, who has a hunting show on the Sportsman Channel. I have some issues with this video. The squatch looks so fake. On the flip side, the gentleman in the video are genuine and quite believable. If they were acting, they did a really good job. I can't believe someone would be so stupid as to hoax them, while they are on a hunt, unless the hoaxer was wanting to commit suicide-by-hunter. I also believe that Mr. Wells wouldn't jeopardize his reputation to post a goofy hoax on YouTube. So watch the video below, and you can decide for yourself. This last video is of Earnie, the Turtleman, from Animal Planet's show, The Call of the Wildman. He tells of his possible encounter with a Sasquatch when he was a kid. He claimed it was the most frightened he has ever been in his life. I just want to thank you for your patience. I should be posting more now that I'm home. I'm glad to be back.